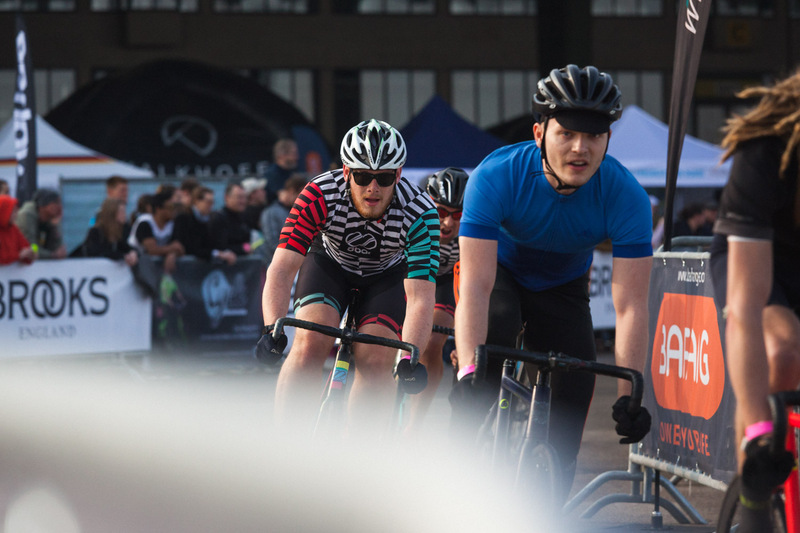 Once a year we are hosting our very own 8bar crit fixed gear bike race. 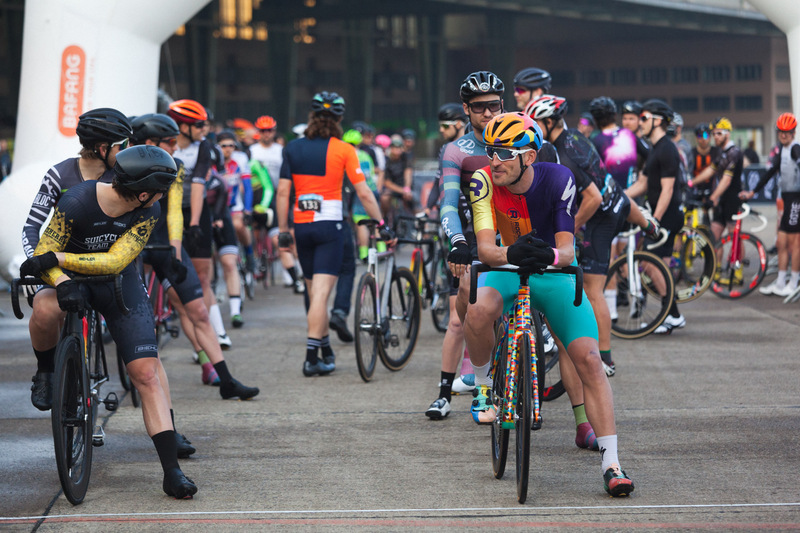 It is a joy to see so many familiar faces year after year again, all ready to give all they’ve got in the races ahead. 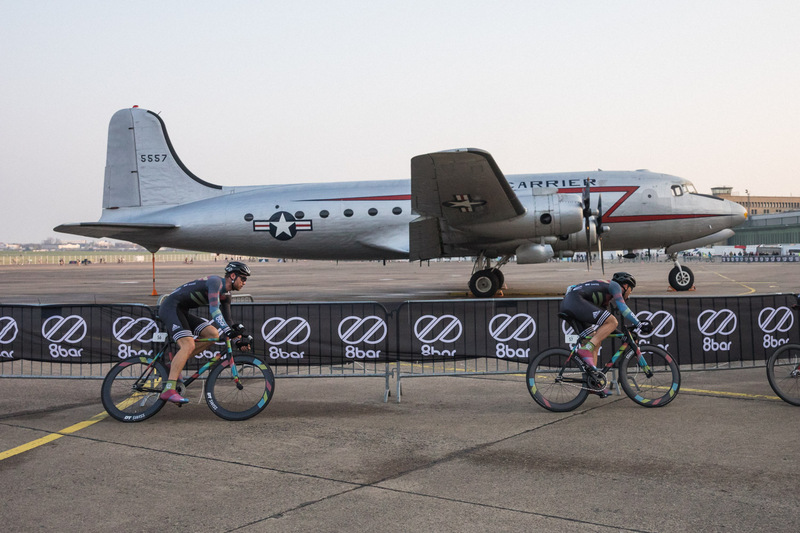 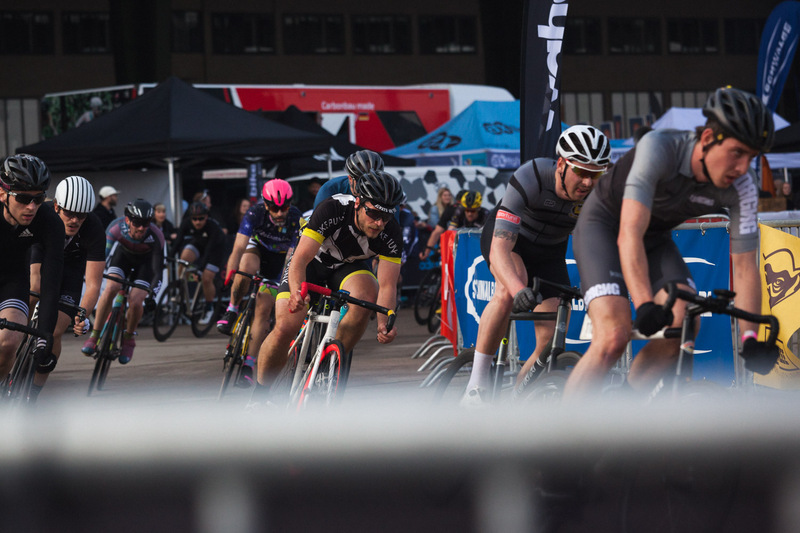 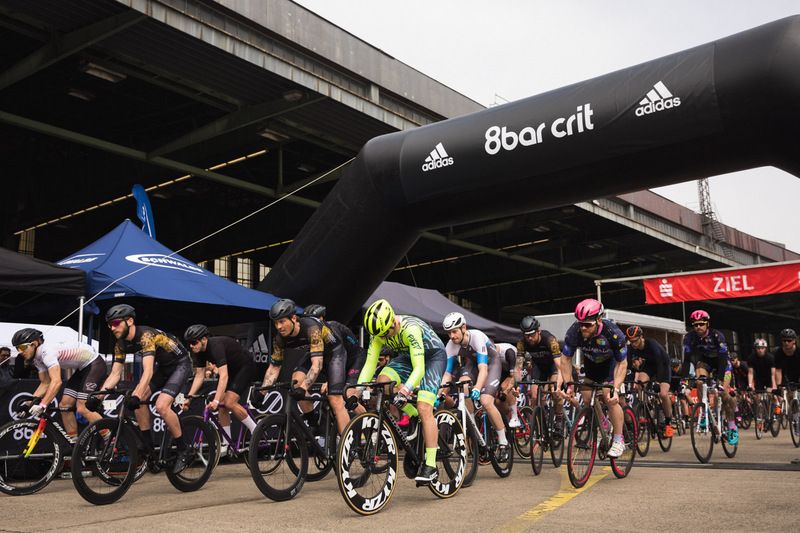 In 2018 the 8bar crit took place in a new location. 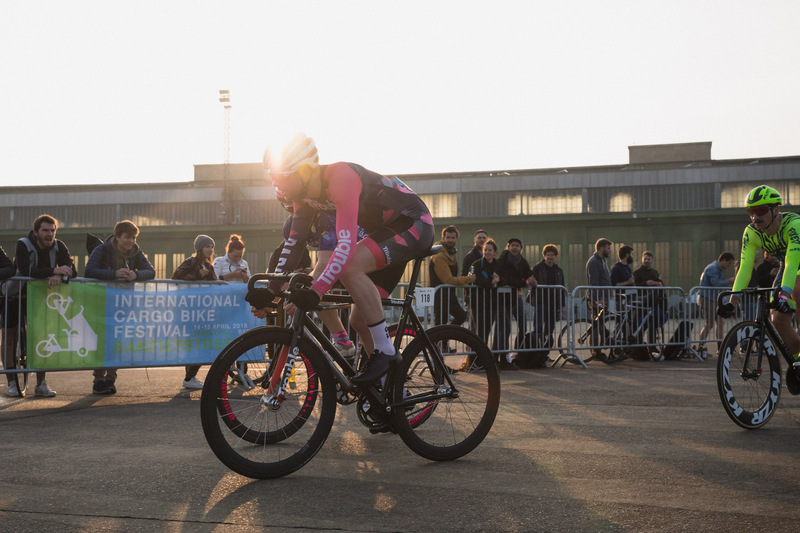 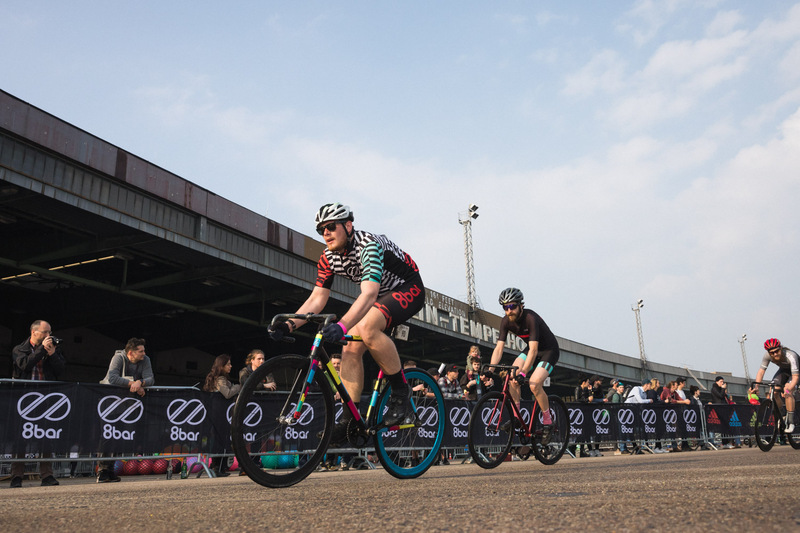 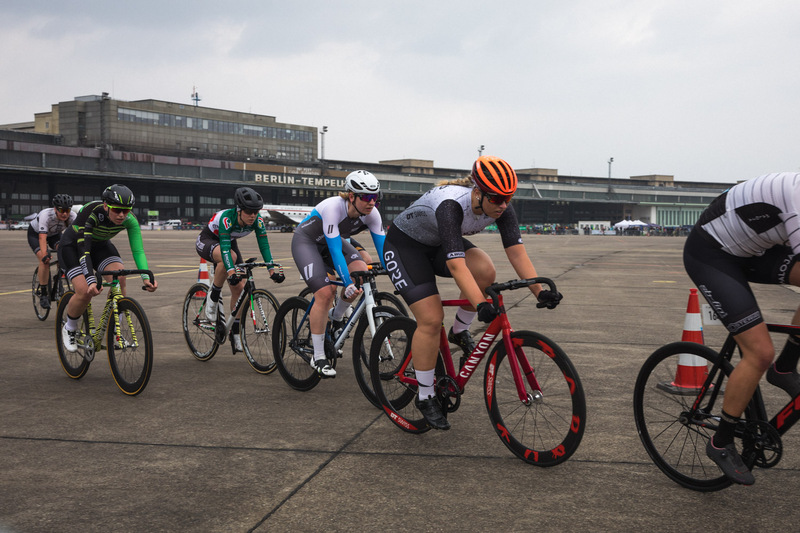 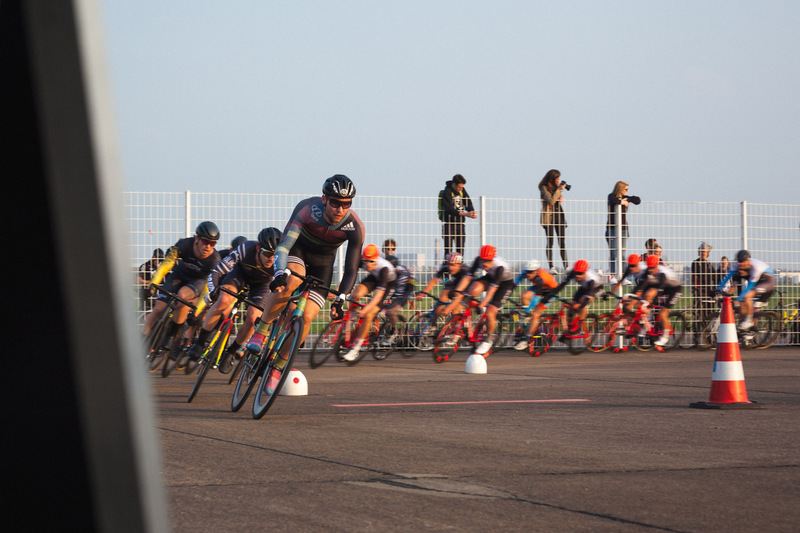 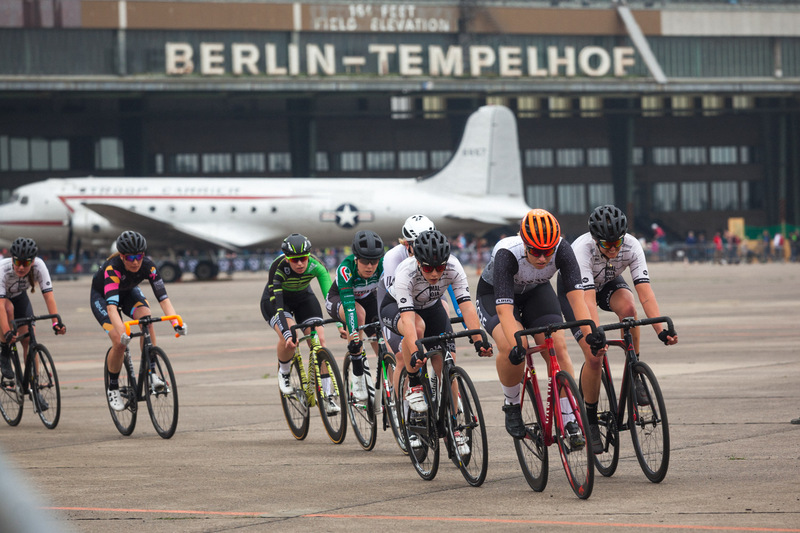 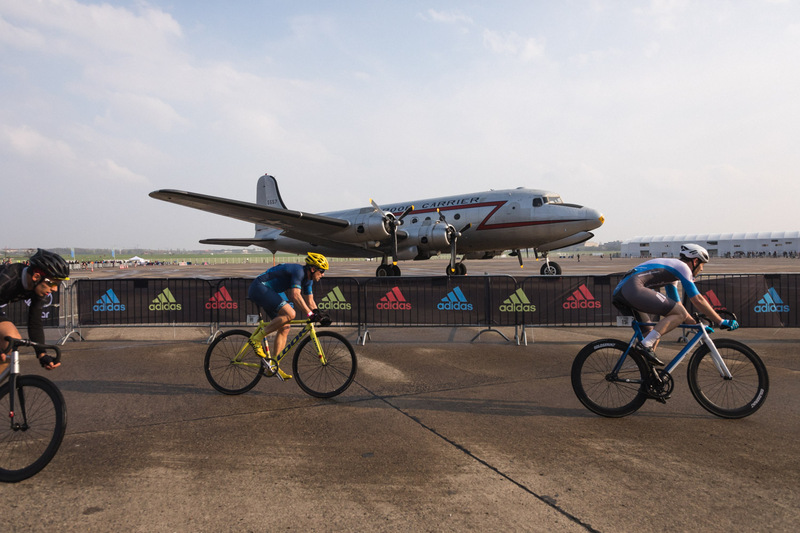 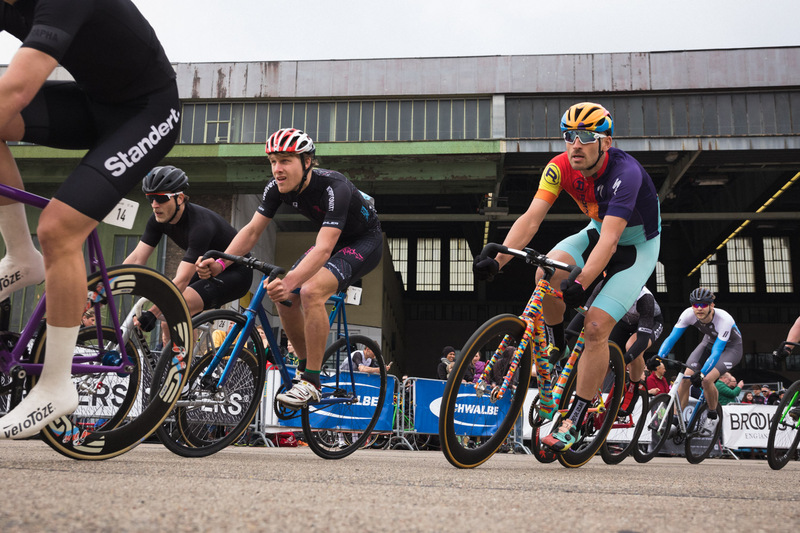 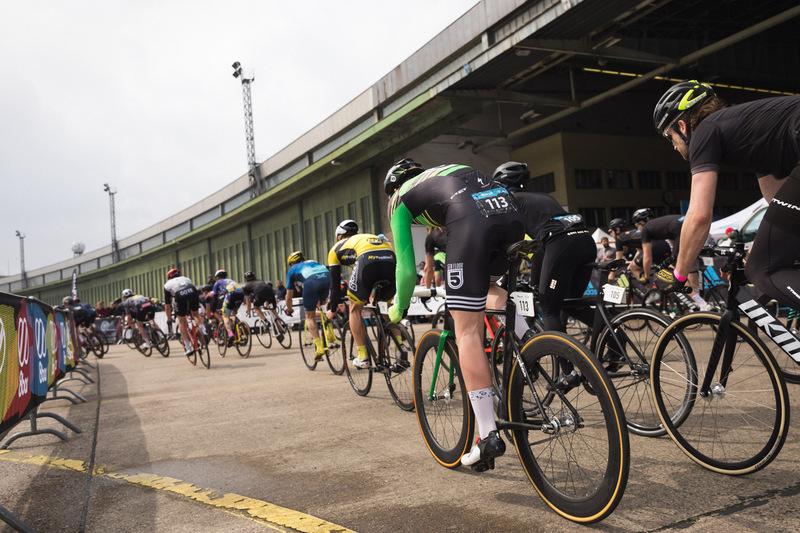 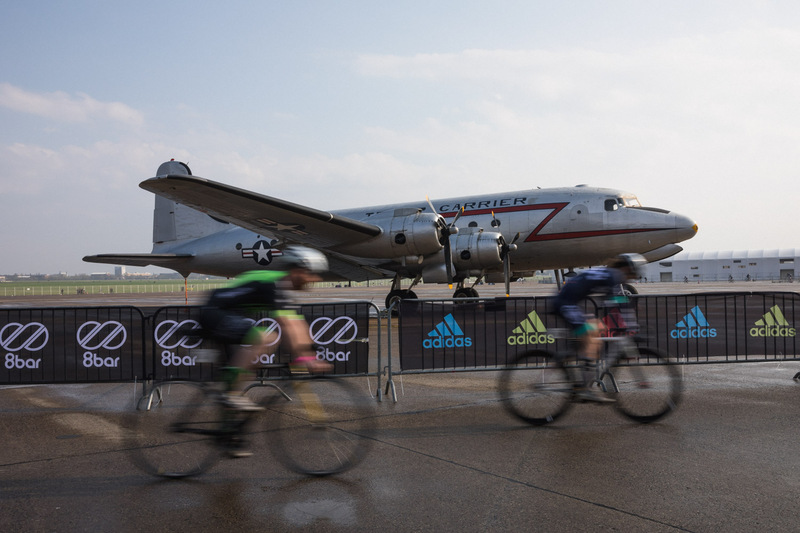 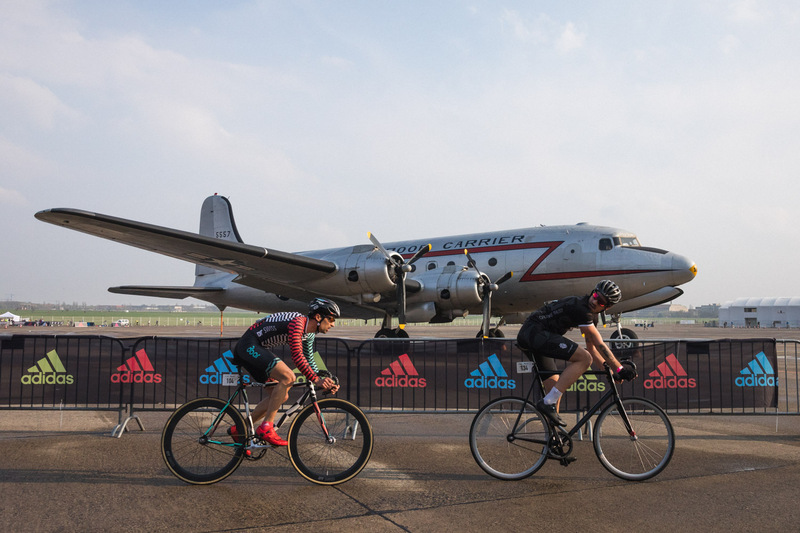 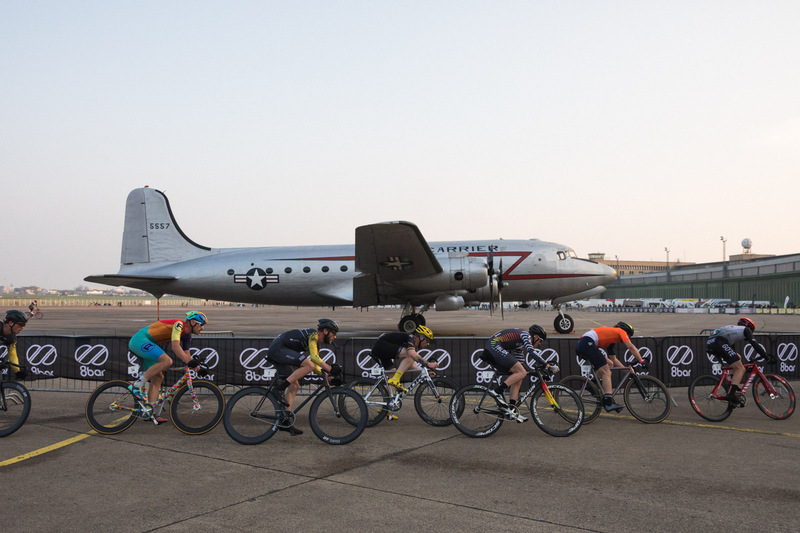 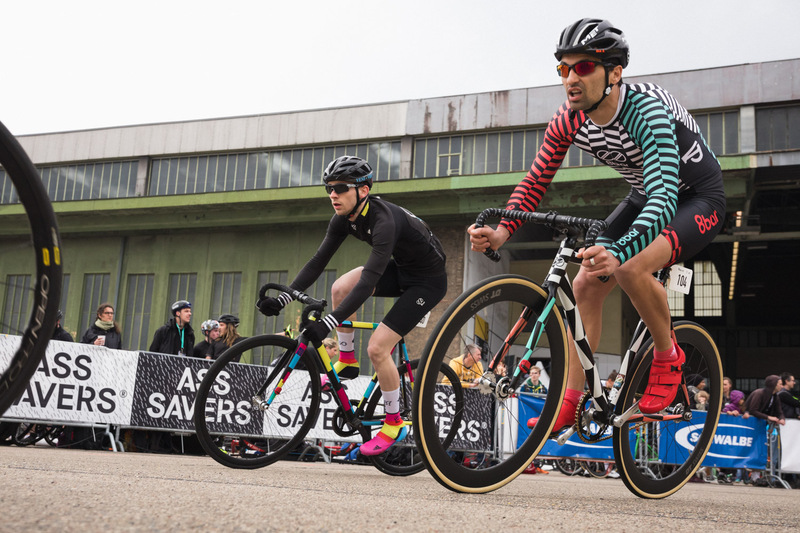 It was still happening on the legendary Tempelhofer Feld, but as we teamed up with the VELO Berlin bike show right in front of the old hangar buildings. 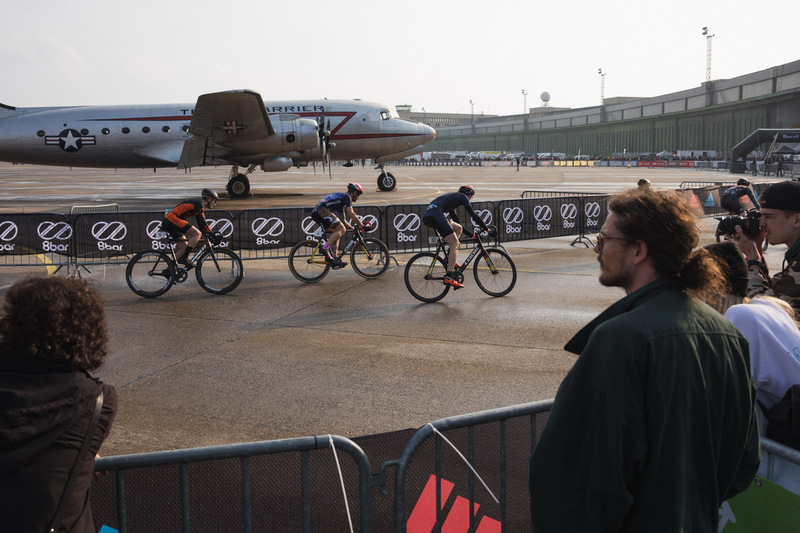 The weather gave us a rough start with a lot of wind the day before and heavy rain in the morning. 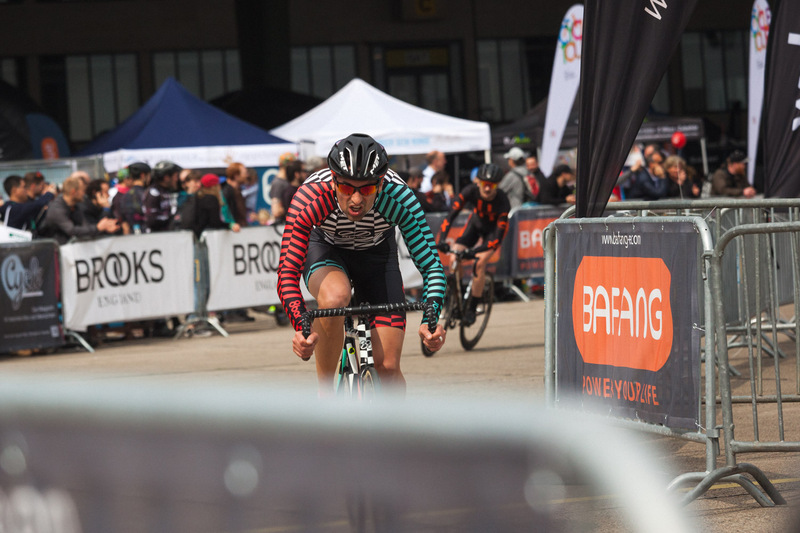 This made the preparations quite difficult and we have to say a big thank you to all volunteers who helped in still managing everything on time! 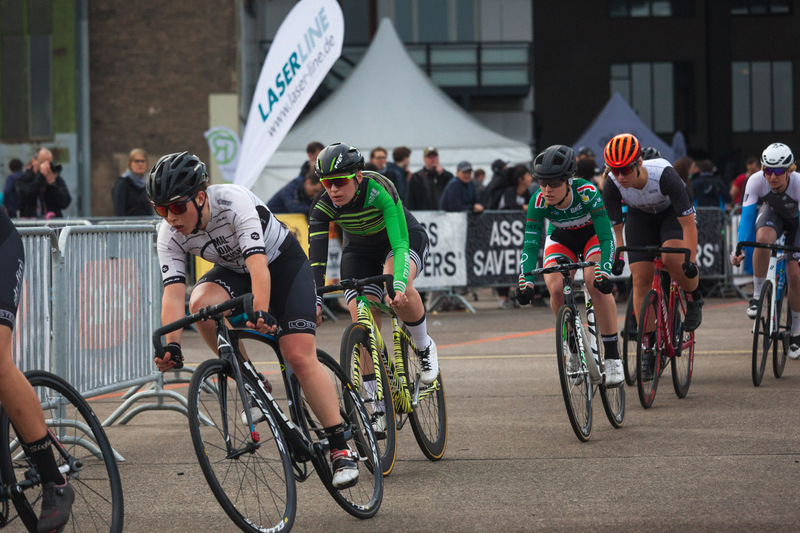 Racing itself was split in two blocks this year: warm up and three qualification heats (Men 1 & 2, Women) as well as the three finals (Men A, Men B and Women). 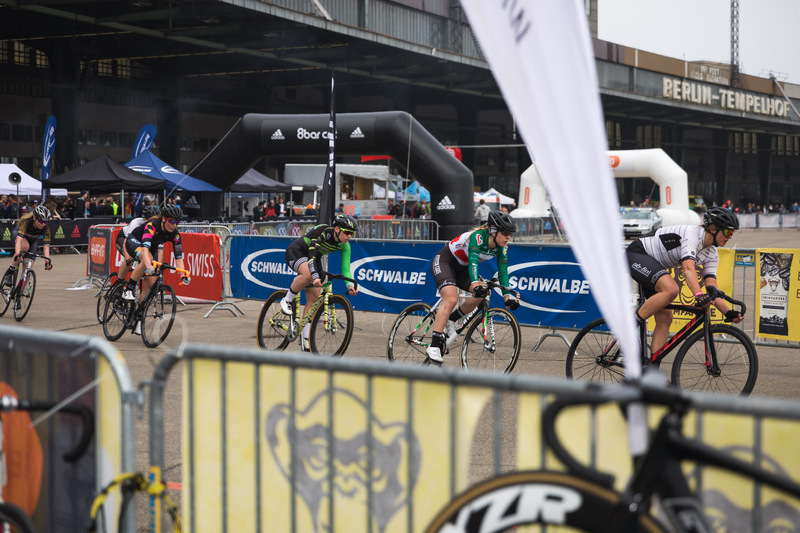 The adaption of the race mode resulted in every rider starting also racing a final and thus optimizing the riders experience. 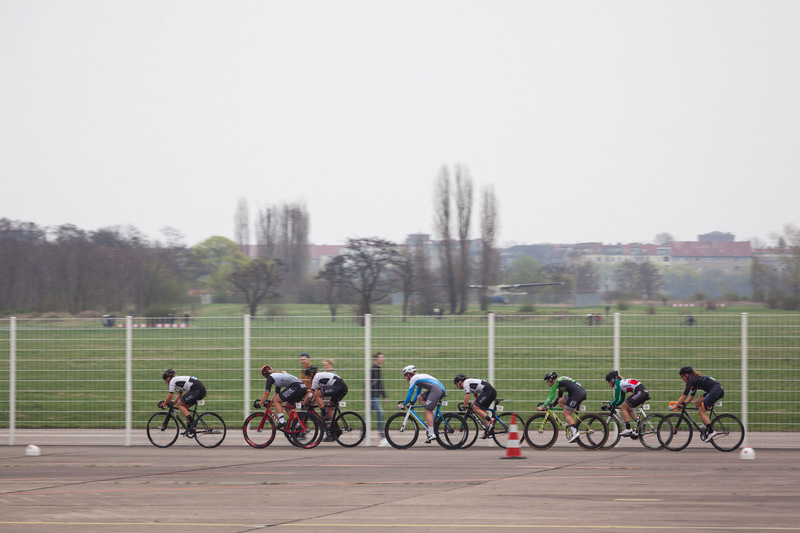 Although we had a little bit of bad luck with the weather in the morning the races itself were mostly dry. 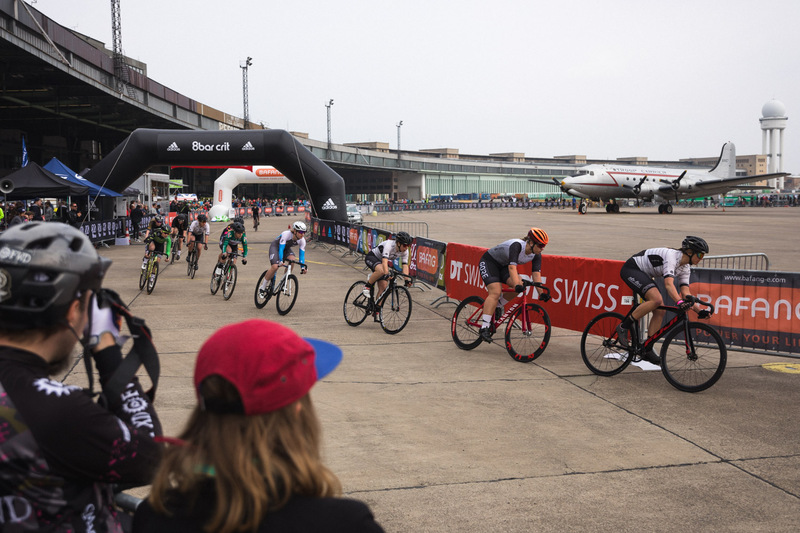 The track was fast and required a lot of strength of all riders. 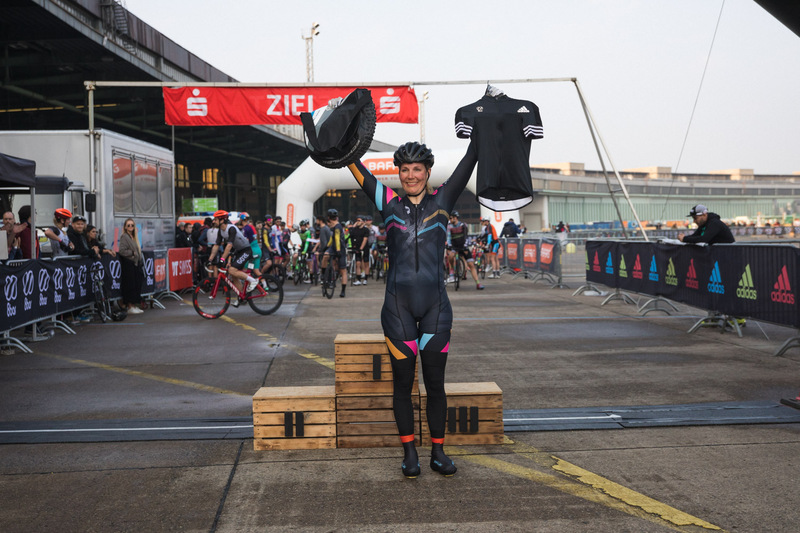 In the women’s final Lena Vogl of Maloja Pushbikers Fem was able to ride a massive breakout all the way into the finish line for 1st place after completing a race distance of 20 laps. 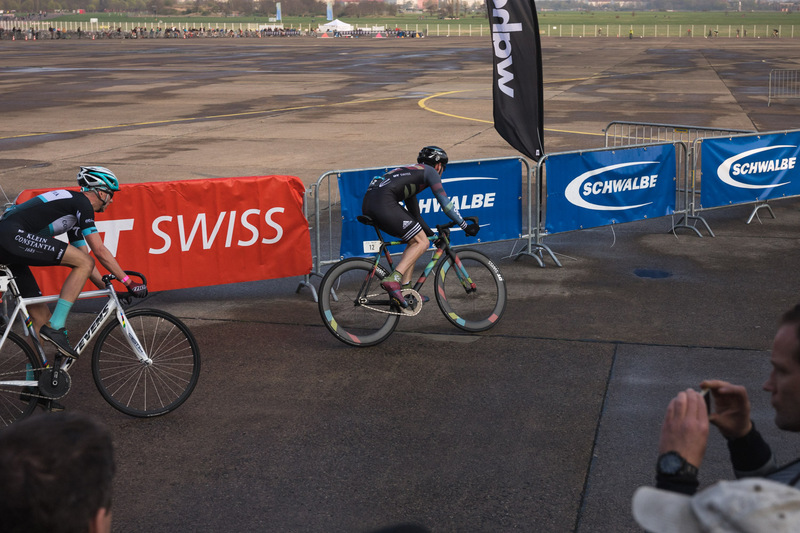 She was followed by Karla Sommer of Team Schindelhauer-Gates and Paola Panzeri of System Cars-Cinelli-Comense 1887. 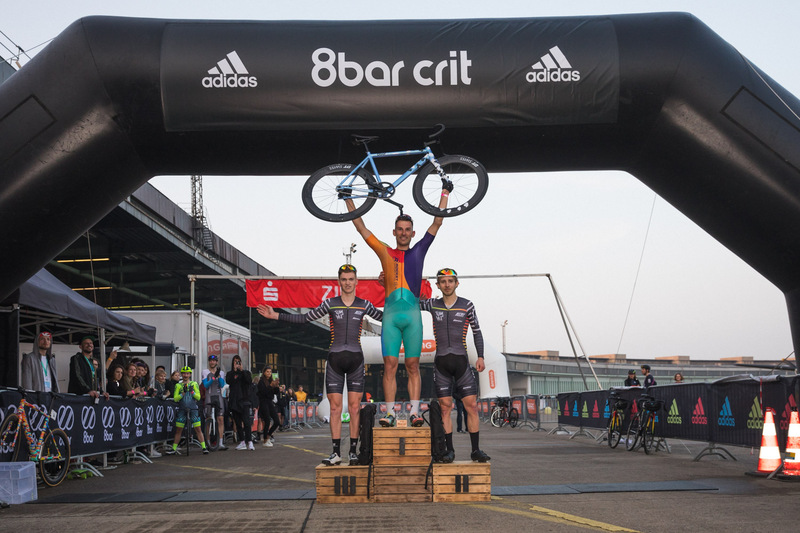 For the Men’s B final the toughest guys and thus on the podium were Julian Schrenk (Schleudergang), Luc Herbert (Bananas on Bikes) and Alexander Knötzl. 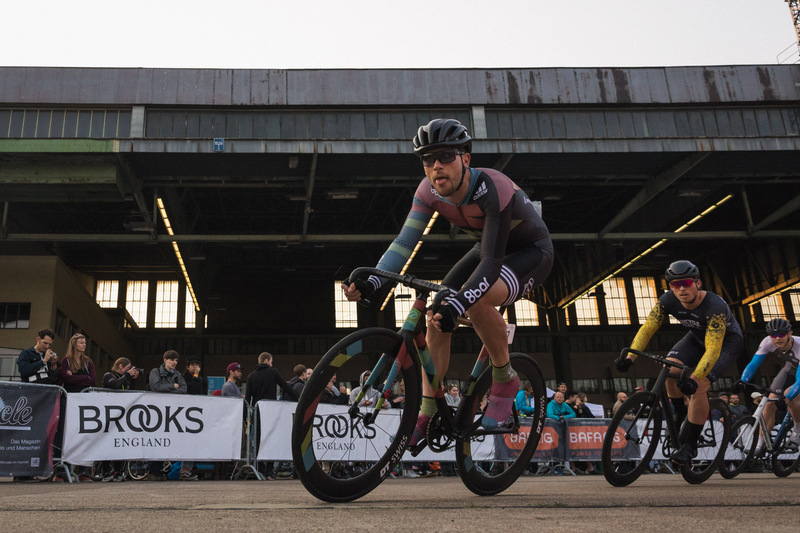 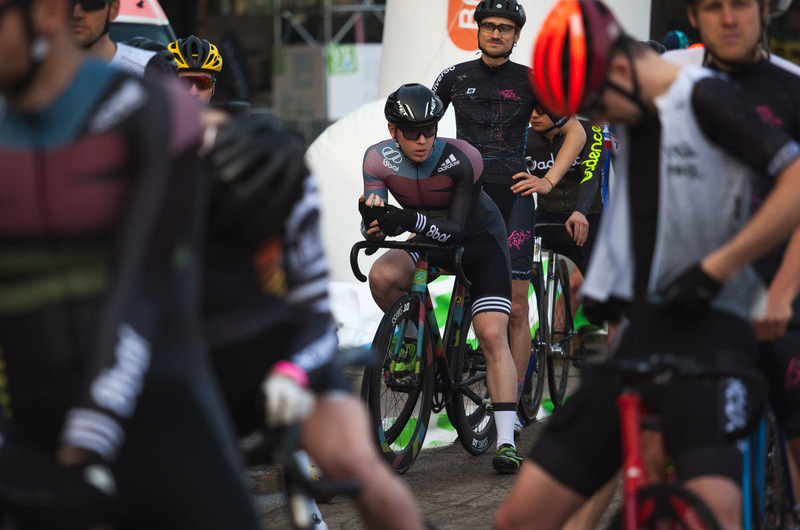 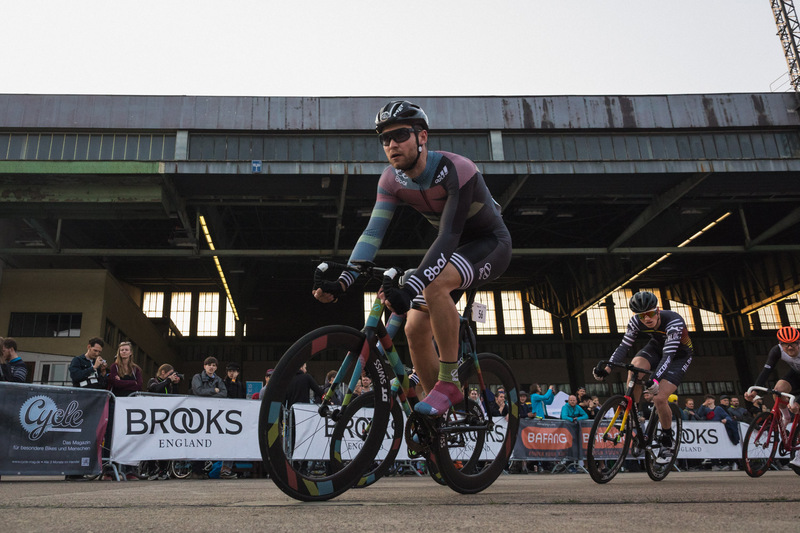 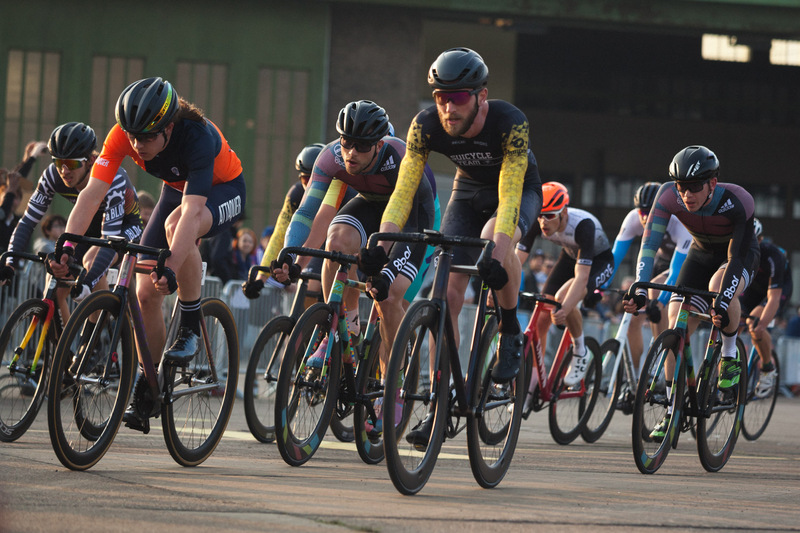 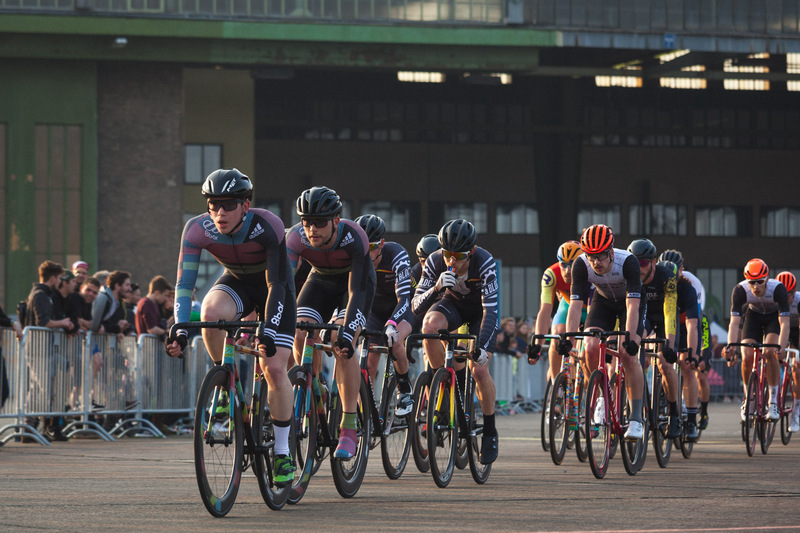 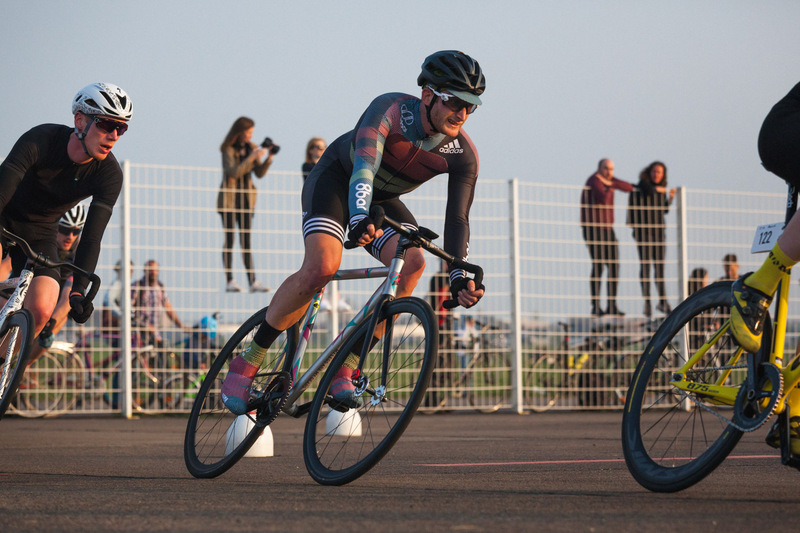 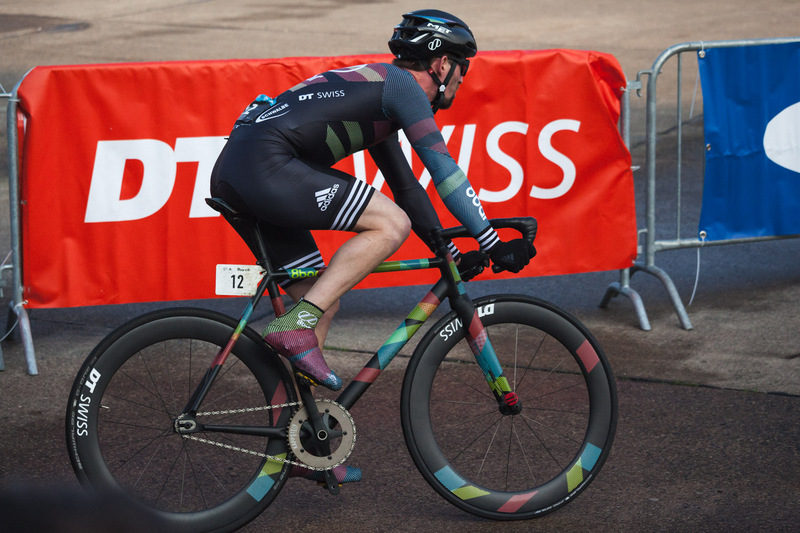 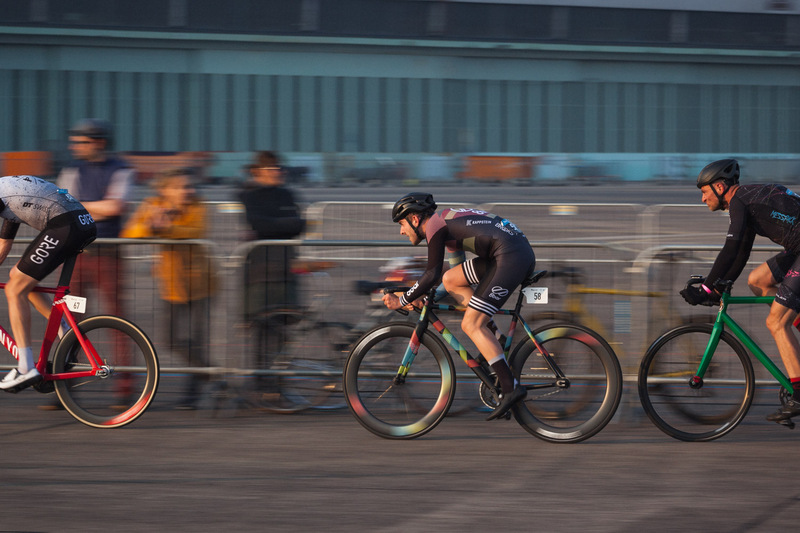 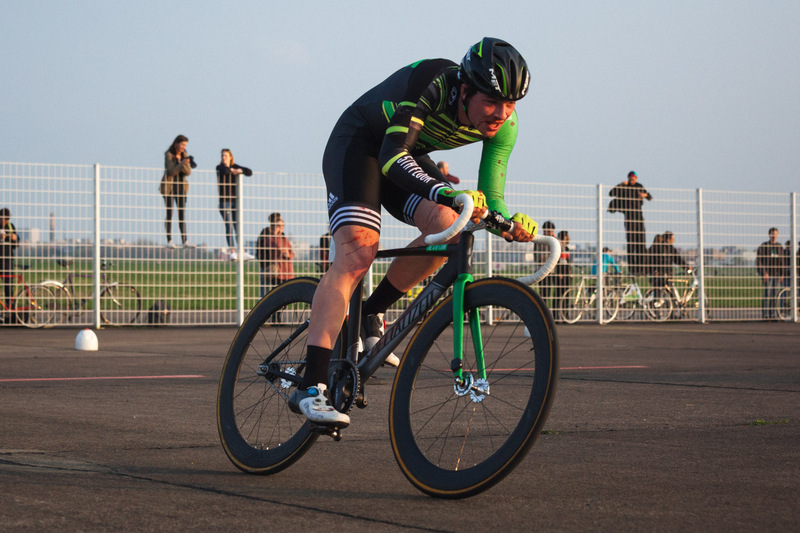 It was Julians first race win ever and for Luc Herbert it was even his first fixed gear race with an immediate 2nd place! 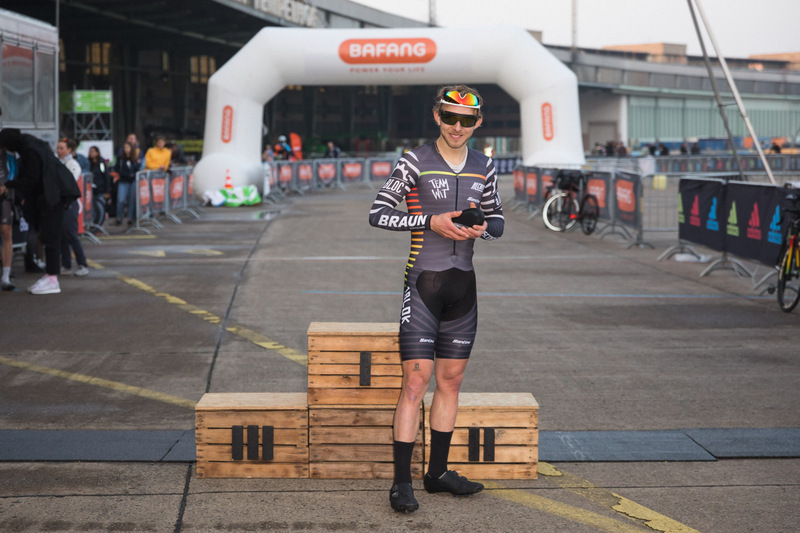 In all of his excitement Luc missed the podium ceremony after the race, but we are sure he was still very happy and celebrating his success! 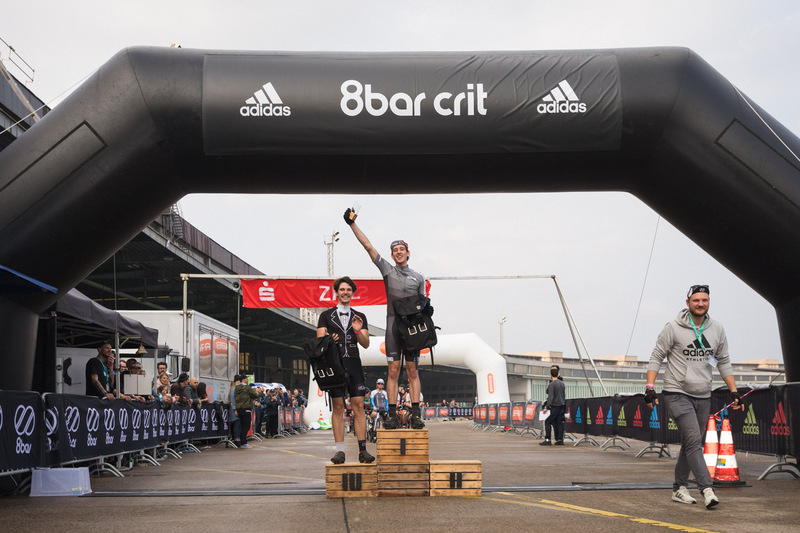 Respect guys! 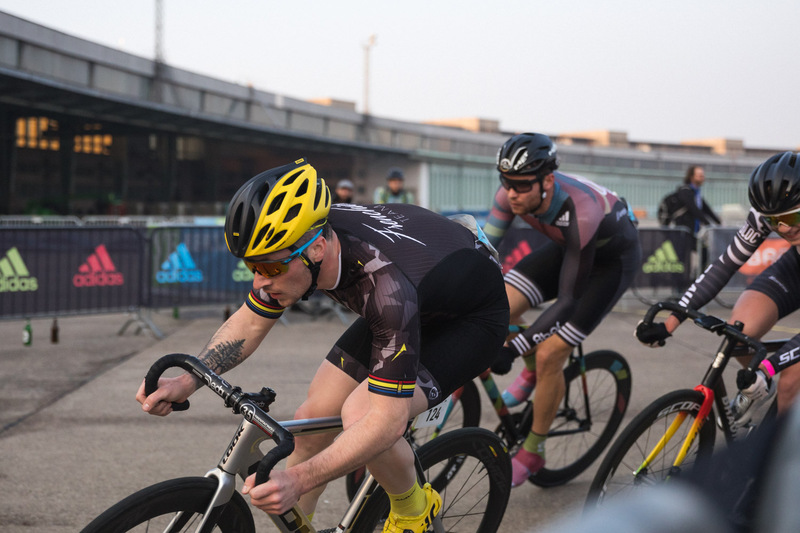 The men’s A final was the longest of all the finals with 30 laps on the track. 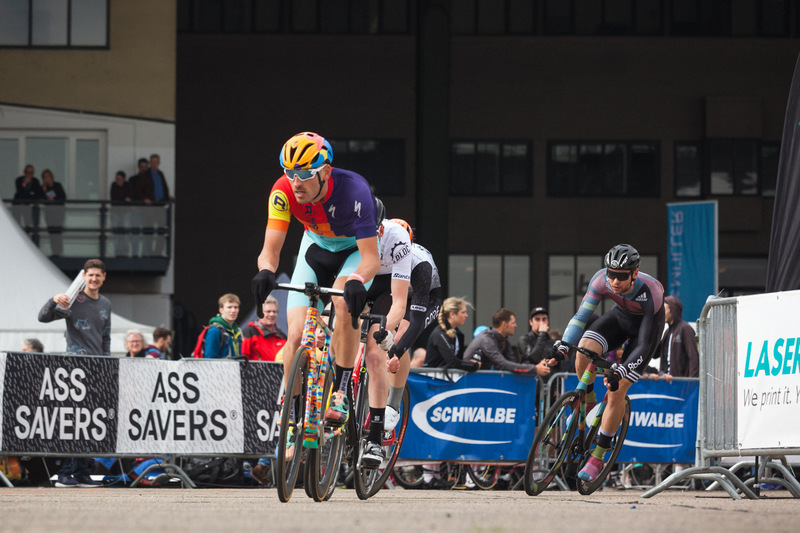 For a long time the peloton was quite close together and it was not before the final sprint that the winner was picked. 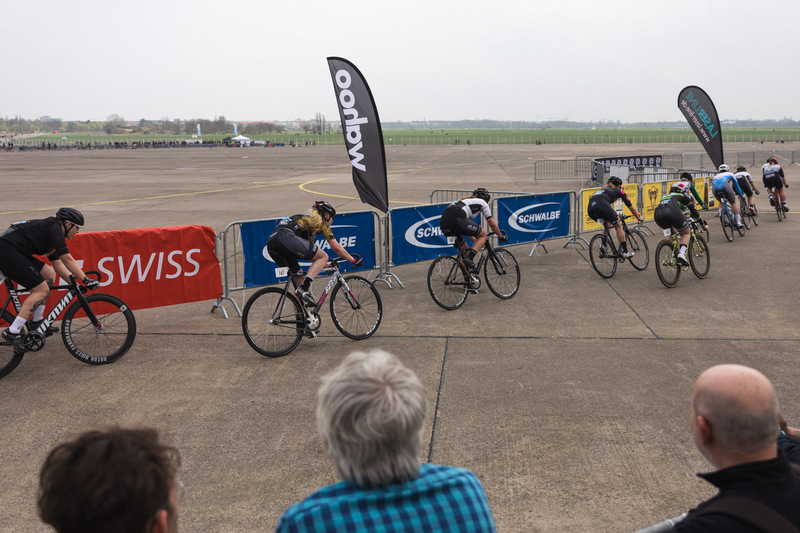 The first 25 riders were all within seven seconds time difference on the finish line. 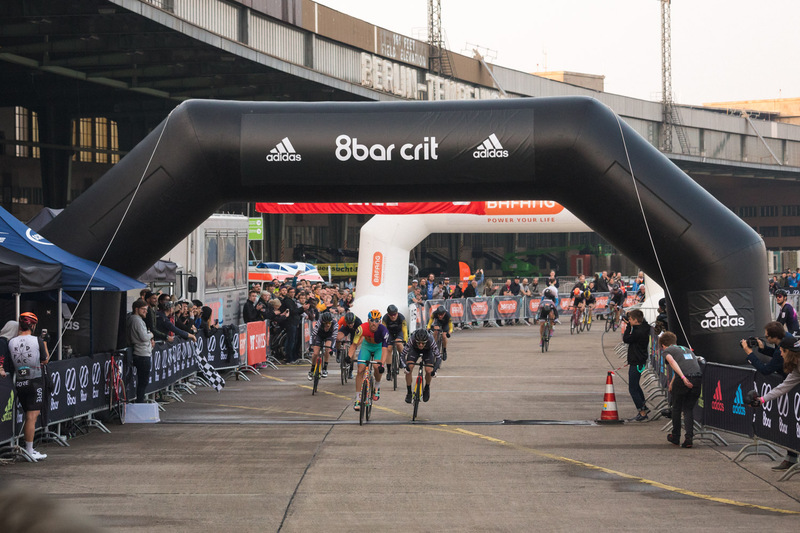 At the end Stefan Schäfer (Specialized Rocket Espresso), the winner of 8bar crit 2016, secured the win with an average speed of 42,62 km/h and just five hundreds of a second in front of David van Eerd (Team WIT) from the Netherlands. 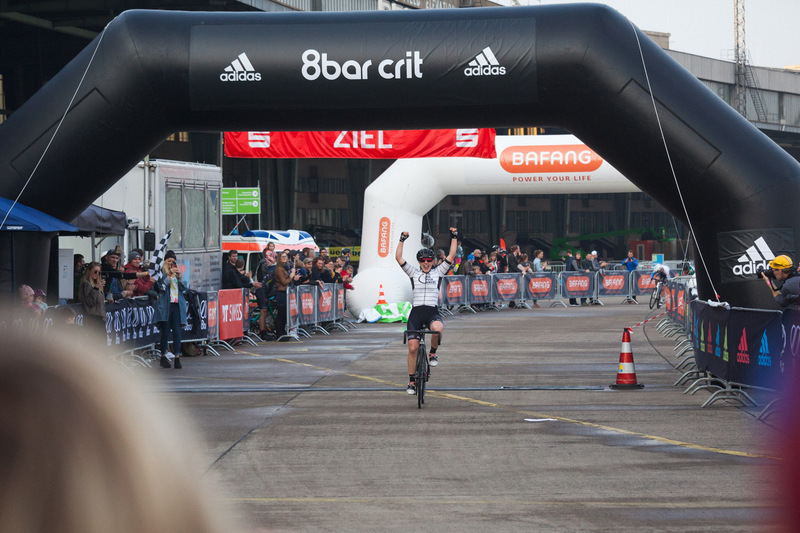 A not less impressive 3rd place did go to Kaj Verhaegh (also Team WIT). 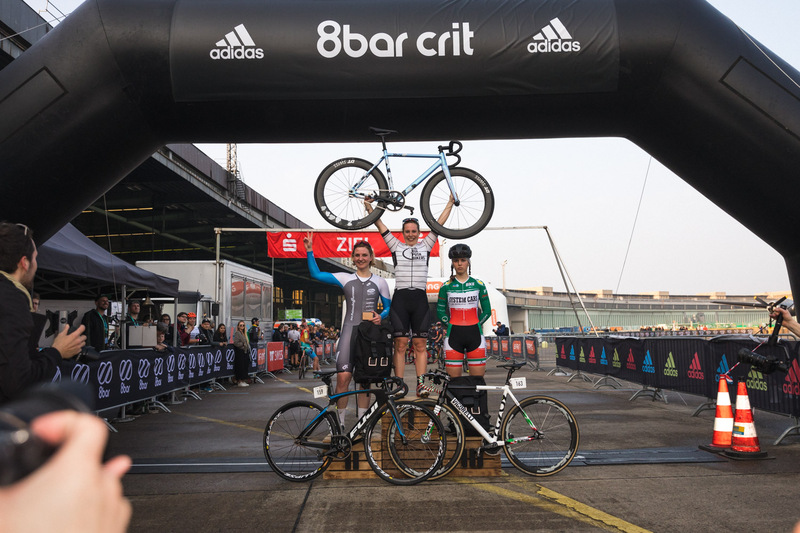 The 8bar team had a good day of racing as well with Robert on 7th, Nico on 12th, Francis on 21st, Fabian on 26th in the A final and Max on 8th place in the B finals! 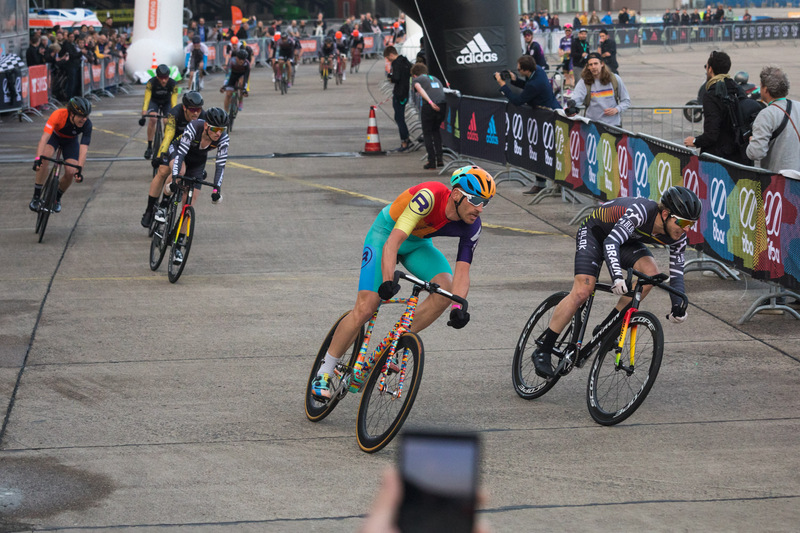 For the 8bar rookies raced Asaf Lanzer (32nd in the Men’s A final), Benjamin Zschoche (10th in the B final), Pataki Farkas (18th B final), Rick Zeibig (38th B final), Erik Heller (40th B final) and Qudus Sadiq (58th B final). 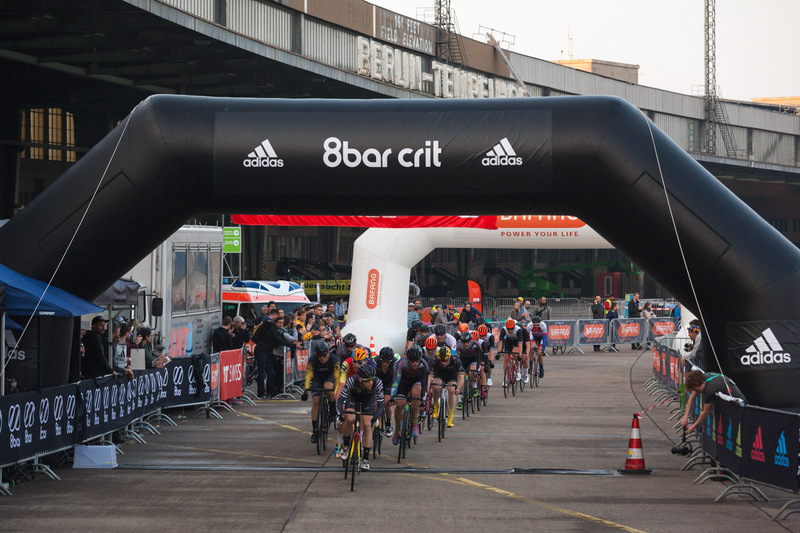 A big thank you from 8bar to all riders and fans who have been part of this years race! 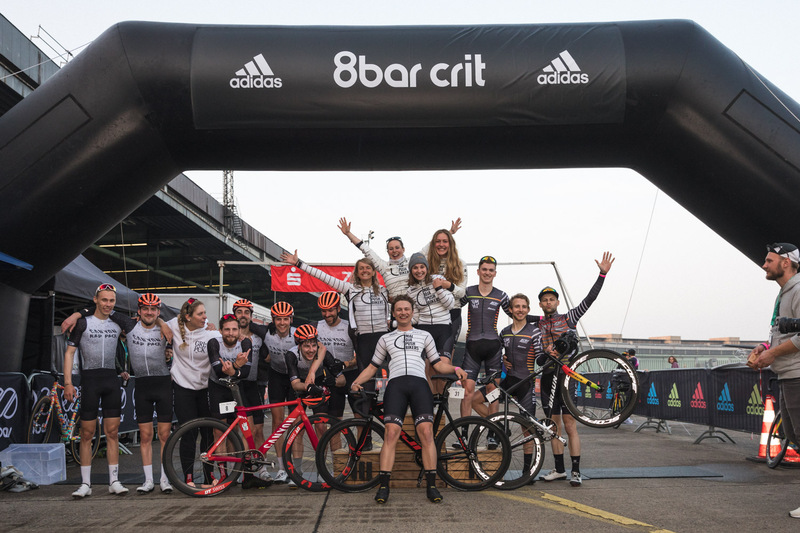 It was a pleasure to host you! 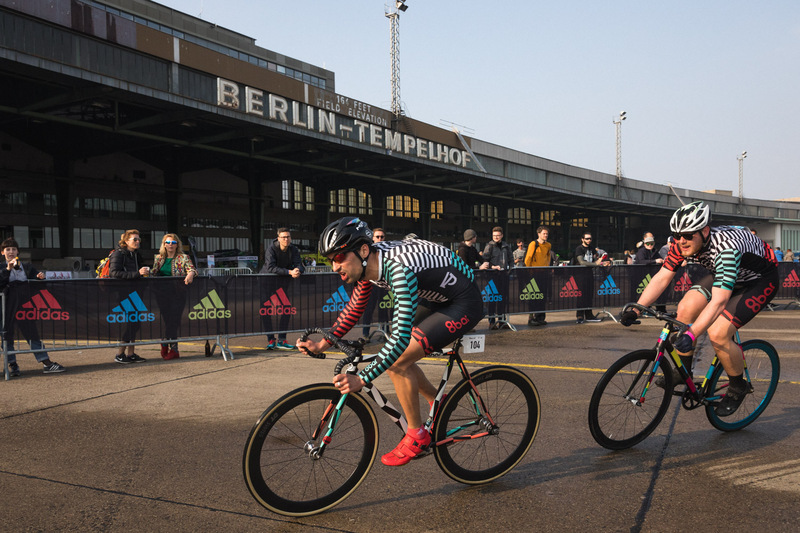 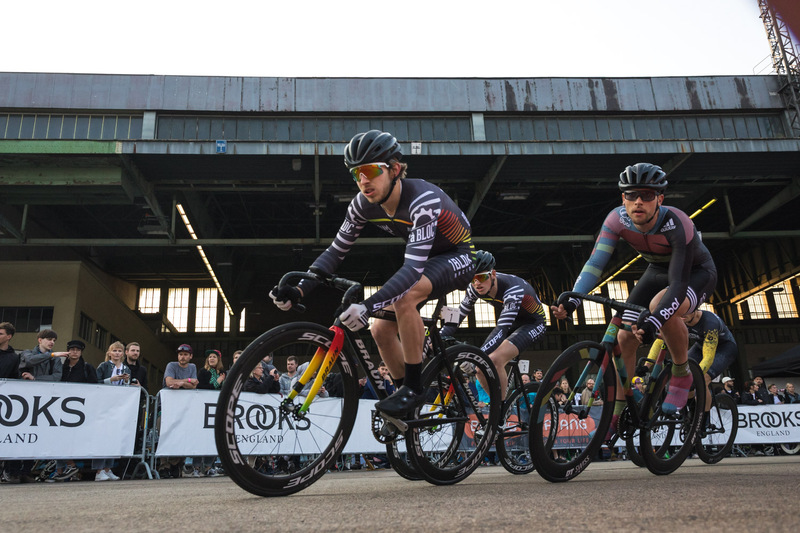 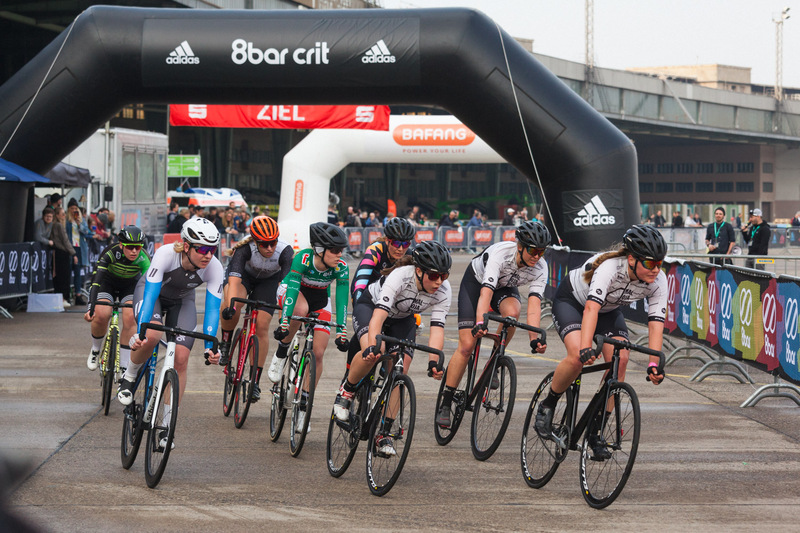 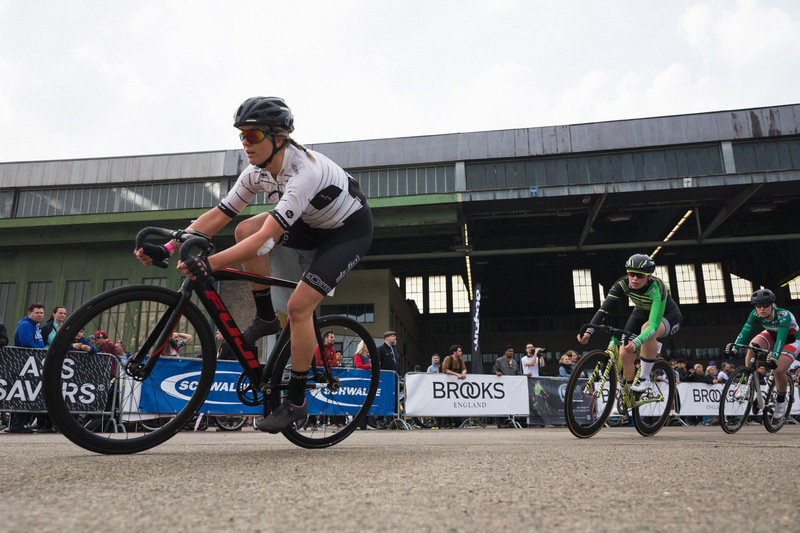 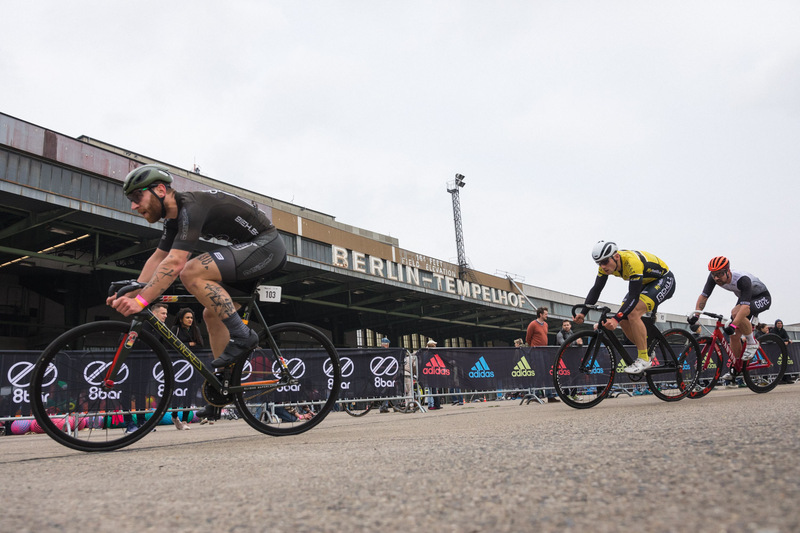 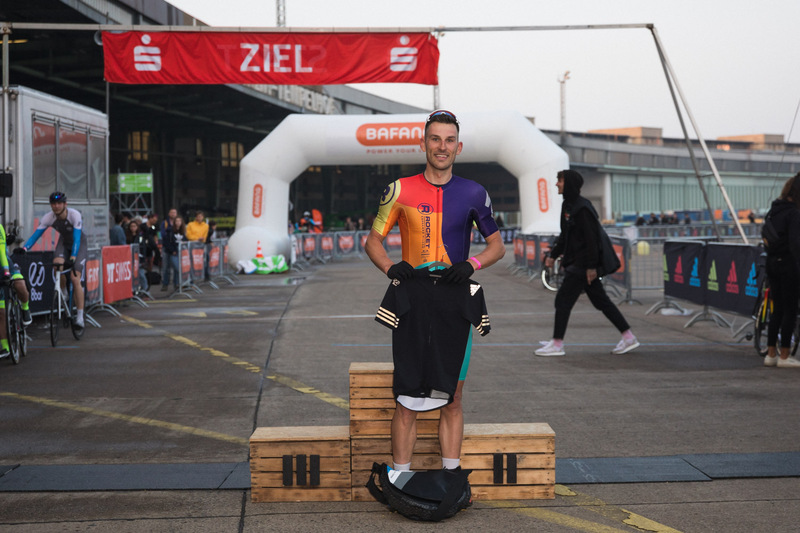 And also a big thank you to our sponsors who made this happen with us together: Adidas, DT Swiss, VELOBerlin, Brooks England, Schwalbe Tires, deliveroo and Chimpanzee!